Early intervention in a dispute, before the disagreement escalates, is often the most effective form of mediation. Consequently, the line manager or supervisor responsible for those individuals at loggerheads is frequently the best person to spot a growing problem and then to intervene. 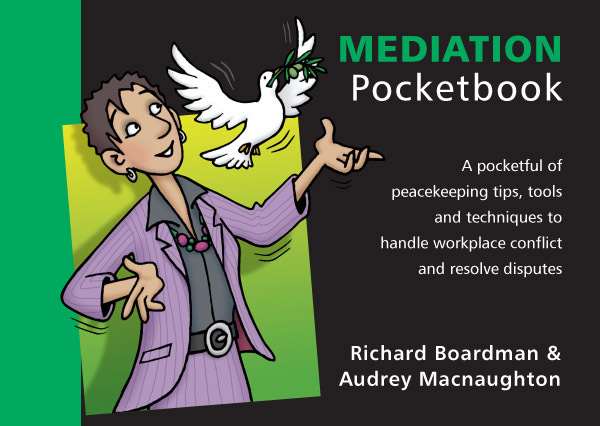 The Mediation Pocketbook will help such managers to understand what creates and sustains conflict and describes a step-by-step approach for dealing with it. The book sets out the skills that are required and what tools and techniques are available and how they can be deployed to achieve positive outcomes. The ideas and methods featured will also be helpful to HR specialists and those people with training in the subject, for when a problem demands formal mediation procedures. Individuals facing conflict and the need to persuade others to see their point of view will also benefit from the practical advice. Conflict in the workplace causes dissatisfaction and demotivation which in turn leads to greater absenteeism and affects performance. Resolving disputes constructively, rather than simply persuading people to ‘agree to differ’, will impact positively throughout the organisation.